YOU WON’T MEET A CREW MORE ENTHUSIASTIC ABOUT REPORTING! We’re an agency with unlimited drive for reporting on the ROI of your campaigns and creating custom dashboards. Tracking your success is our passion. With the right tools in hand, Sheng Li measures your campaigns’ performance, reveals uncovered opportunities and continually refines for the best results. We’ll have you fully covered with Google Analytics, Baidu Analytics, and Weibo Analytics. 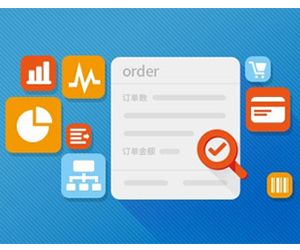 WHY USE SHENG LI FOR YOUR CHINESE ONLINE MARKETING ANALYTICS? Agility: We’ll be quickly alerted to areas which require improvement, and can perform optimization continuously. Coordination: We can compare your Chinese-language efforts with your English campaigns, reporting on multi-language, collaborative strategies. Transparency: We track how each one of your Chinese digital marketing efforts (paid, organic, social media) are performing, and provide regular reports to ensure you’re gaining ROI.